xRec, which appeared in the iTunes store on Saturday, promises to record everything on your iPhone's screen — including apps that prohibit screengrabs. If you're into that sneaky kind of thing, you better grab it fast, because we don't expect it to stay in the iTunes App Store for very long. The app, which costs $1.99, assuming you can still get it, pops a throbbing red "record" notification bar while it's capturing video of whatever is on your screen. 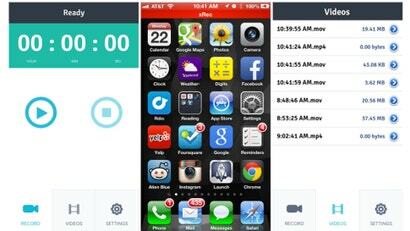 It can capture audio as well as video, saving both to your camera roll or other apps.